ESA Talks E3's Relevance, "Gaming Disorders," and Loot Boxes: "E3 Has Always Had to Adapt"
At DICE Summit 2019, we catch up with the ESA about this year's biggest topics. The industry is changing. E3, organized by the Entertainment Software Association (ESA), is changing too. Sony is dramatically reducing its traditionally large presence at the annual show this year. This comes years after Nintendo pulled its own big press conference in favor of pre-recorded Nintendo Directs—something it now holds year-round, no longer tethered to the big stage of E3. Other publishers have followed suit, hosting their own large, livestreamed events to reveal games, such as the recent Mortal Kombat 11 event. Yet, E3 is still the biggest week for gaming of the year. The ESA still see E3 as growing, even if the big names in front of it are diluting and a community focus is currently at the forefront—something that even Sony Interactive Entertainment's Worldwide Studios chairman Shawn Layden insists is essential for E3 moving forward. But to the ESA, E3 evolving with the times is nothing new. "I think E3 has always had to adapt because this is an industry that is always adapting. I think it's because the consumer base. Gamers have high expectations. And so video game companies have to meet those expectations. And E3 is a great opportunity to speak to the world about the changes that are being made," ESA acting president Stanley Pierre-Louis tells USG. "We've seen an evolving E3 over the years we added consumers a couple years back. They used to come years ago then didn't for a while. Added esports tournaments, what else have we added? The Coliseum, which is a group of panels and just great talks by really exciting people; developers and fans, Jack Black, you know, lots of people coming in. 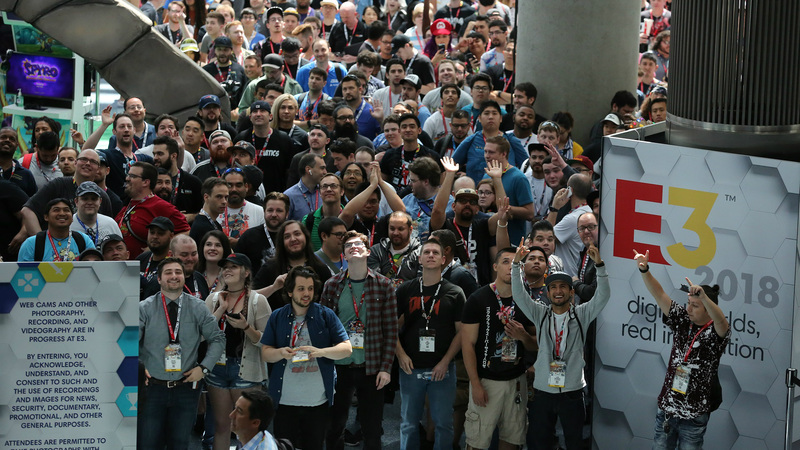 So I think E3 has always been evolving and the challenge for us is to make sure that we're keeping up with the rapid change that the industry is seeing." The ESA Pushes Back Against "Gaming Disorders"
Since Entertainment Software Association (ESA) president Michael Gallagher exited the games industry lobbying group in October 2018, Senior Vice President and general counsel Stanley Pierre-Louis has stepped in to lead as acting president. Today at DICE Summit 2019, he gave a talk addressing the recent controversy of the World Health Organization's pursuit of classifying excessive play of video games as a "mental disorder," and how we can all serve to better advocate the positives of games to combat it—from its educational side to proven therapeutic usage. Pierre-Louis cites the gamification of language learning in Duolingo, young women pursuing STEM degrees after growing up playing video games, the rehabilitation of stroke victims with video game play as just a few examples of the net positives gaming brings the world. That, and how it brings people together, as seen in that happy tear-jerking Super Bowl commercial for the Xbox Adaptive Controller. "I'm not speaking to you as a doctor, obviously, but in looking at what other medical institutions have said, they seem to agree that there is no medical consensus that video games and video game play causes this 'gaming disorder' affliction that WHO is urging for adoption," the ESA acting president says. "American Medical Association, the American Psychological Association, and the American Psychiatric Association have each said that there isn't sufficient evidence to conclude that any level of video game play should be counted as a mental disorder, and in fact view video games as a positive. "Right now it's [...] in the ICD 11, which has yet to be adopted by the World Health Organization, and we're hoping that they modify it somewhat to take away some of the harm we think it could do." With Fortnite being a massive hit, gaming has arguably never been more mainstream or in the public eye than it is today. And with renewed popularity for gaming, we've seen a resurgence in these tired issues. In early 2018, the President of the United States insisted that video games are a cause for school shootings; in Pennsylvania, a proposed 10 percent "video game tax" on M and AO rated games has been revived as a bill after failing last year. To the ESA, it all boils down to Supreme Court Justice Scalia's decision in 2011 that video games deserve First Amendment protection like all other media. "One of the things we have pointed out is the same video games that get played in the United States get played in every other country in the world," says Pierre-Louis. "And this is the only country that has the gun violence problem when it comes to these issues and so, it can't be video games if the reaction is different here. And so that's been an effective argument that we've made." It's also been a chaotic year on the subject of microtransactions in games, specifically on the long-controversial loot boxes. 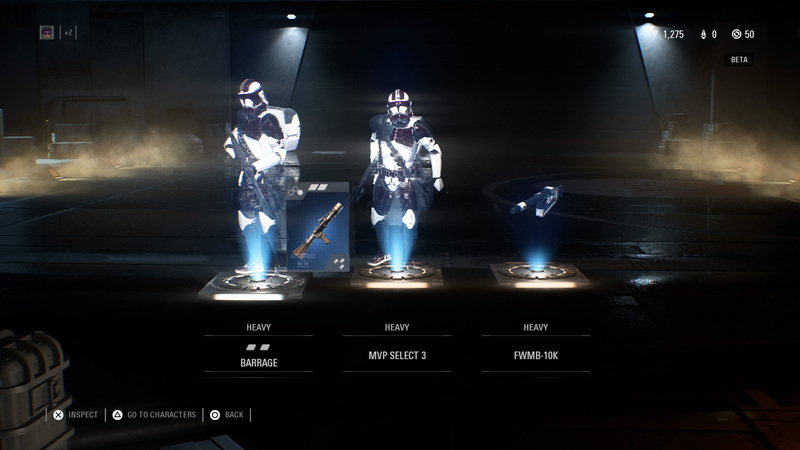 In early 2018, Belgium decreed that loot boxes are "in violation of gambling legislation," leading to many publishers pulling its games from sale in the country. The ESA has long stood by the belief that loot boxes aren't gambling. "Loot boxes are another value proposition and it's clearly not gambling under U.S. or any other law. One because you always get something, you get value for it. You don't put anything at risk because when you get a loot box you're getting something, right? It's not like you're getting nothing. And also loot boxes really occur in a sandbox. They're useful in-game. You don't cash out, which is very different than gambling. And so that's why a number of countries the U.K., France, I think Australia, they've all looked at the issue and said it's not gambling. "What Belgium did wasn't to determine whether or not it was gambling, the gambling commission took a look at a series of games and determined that they thought that they were worthy of a referral to criminal prosecution. So there's no official decision. Rather there was an implication that they had concerns and wanted to have them either registered as gambling or banned." Unionization has been another prominent conversation in the games industry this past year, especially in the face of prolific studio closures like Telltale and mass layoffs, as Activision's reported to have this week. As a result now more than ever workers are organizing and encouraging unionizing, as seen by newfound groups such as Game Workers Unite. Former ESA president Michael Gallagher told Waypoint in 2018 that "high wages" and opportunities across the industry have made it not a "significant issue" in the past decade. New acting president Pierre-Louis sees it a little differently. "I think that certainly our members want to make sure they have the healthiest and most exciting environment for the creation of games and for the operations of a video game company because there's a lot that goes into making games," says Pierre-Louis. "I think the question of unionization is really a company by company decision with its employees. It's not something that the ESA really weighs in on. We allow our members and all companies really make those decisions on an individual basis." As for the next technological leap—and services clamoring to be the "Netflix for games," as Pierre-Louis tells me—streaming is going to be a huge centerpiece. For years, Sony has had its own streaming service PlayStation Now. Microsoft has been swirling with rumors of a disc-less, streaming only version of the Xbox. For the ESA, it's an exciting development in the always changing industry. "Streaming requires strong broadband, and so part of that will be how strong is our broadband network and in what regions of the country do they need to be improved? Is 5G the answer to this broadband conundrum? And so I think we're going to see some exciting developments," says Pierre-Louis. "Sony has been in the business for some time through their store and I think others are going to make a very strong play. [...] I would say there are some exciting opportunities that lie ahead, and we'll have to see what develops." E3 thumbnail image courtesy of ESA. Tagged with ESA,	News,	PC,	PlayStation 4,	Stanley Pierre-Louis,	Switch,	Xbox One.